The Karlsplatz in Vienna is one of the most historic places right in the citycenter. With multiple over- and underground crossings towards the Subwaylines and the Ringstrasse the park folds up in a unique and lively 3-dimensional topography. 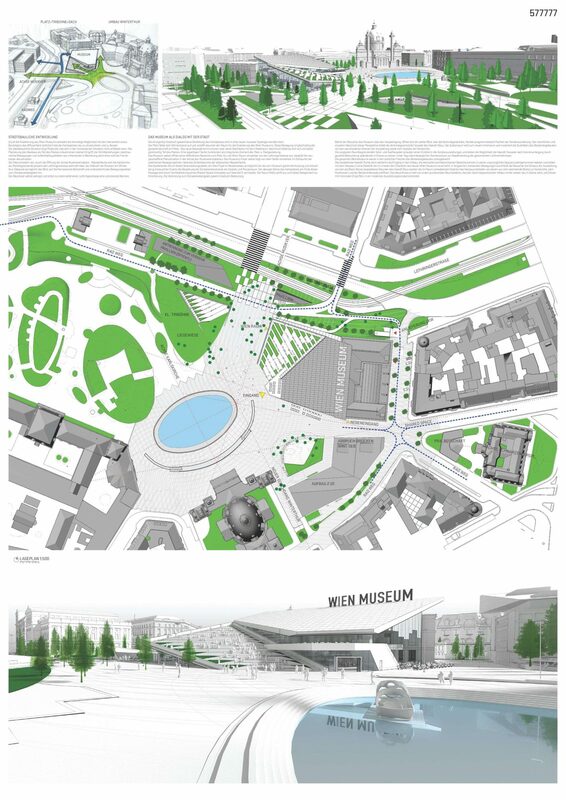 The Design for the Wien Museum on the northeaster corner blends this topography in a combination of park and museum. 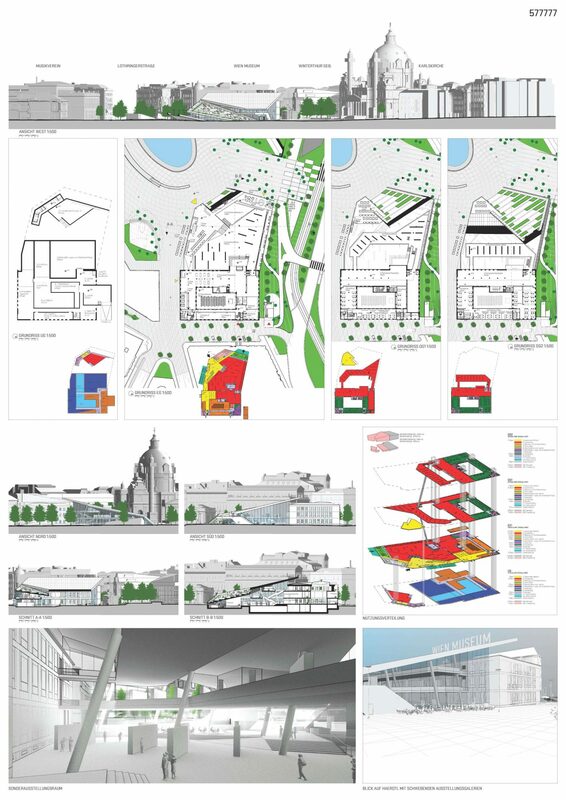 Exhibition spaces extend towards the park while the roof acts as a tribune extending the park over the building at the same time.